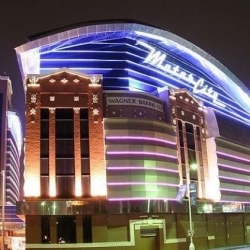 Motor City Casino would be one of over 20 land-based casinos in the state which could apply for an online gambling license. The Michigan state legislature passed Rep. Brandt Iden’s House Bill 4926 in the last hours of the legislative session this week, sending it to the desk of departing Gov. Rick Snyder. HB4926 would legalize online poker and casino gaming if Snyder signs it into law. The Michigan Senate passed the bill just before midnight on December 21. The Michigan House passed the same legislation at about 3am on December 22. If Iden’s bill is signed into law, then land-based casinos in Michigan would receive the right to launch online casinos and cardrooms. The licensing and rollout process likely would take place over the course of 2019, with operators and suppliers applying for licensing in a two-step process. Throughout 2019, various tribal and commercial casinos in the state presumably would sign deals with 888, GVC Holdings, PokerStars, and other top operators — much like the process that’s taken place in Pennsylvania this past year. HB 4926 Legalizes Sports Betting? Brandt Iden’s bill’s sports betting passage is notable, because the legislature has not legalized sportsbooks yet. It is uncertain is a companion bill that specifically legalizes sports betting will be needed to approve single-game sports bets. The bill raises eyebrows, because it seems to flout accepted federal law against online sports betting. The Unlawful Internet Gambling Enforcement Act (UIGEA) of 2006 banned online and mobile sports betting, because it banned any form of gambling (for the Internet) which was banned under the 1961 Wire Act for interstate telephone lines. Sports betting over the phone lines was specifically banned in the Wire Act, so UIGEA bans interstate online sports betting. The key term from the Wire Act is “interstate“, though. For federal authorities to claim jurisdiction over illegal sports gambling, the act had to specify activity which crosses state lines. If the activity takes place in one state, then federal authorities are not supposed to have jurisdiction. On many issues down through the years, state officials have battled federal authorities over equal sovereignty and states’ rights. That means Michigan could legalize intrastate sports betting on desktop and mobile devices, so long as the activity was done by people in Michigan and geolocation technology assured those players are not in nearby states. It is the same kind of law which allows gamblers in New Jersey and Pennsylvania to gamble on live in-play sports betting apps. Bettors in the state can expect to see Michigan lawmakers introduce a sports betting companion to House Bill 4926, so lawmakers can clarify laws and regulations. For one, Michigan lawmakers need to specify which regulatory agency would oversee sports betting. It is easy to overlook the certain provisions of House Bill 4926: legalization of online casinos and poker sites. State Rep. Brandt Iden has pushed the bill since 2016 with little sign of success in the two previous years. Some observers speculated that the inclusion of sports betting changed the equation from a legislative standpoint, leading to wider acceptance for online gambling. Whatever the case, proponents of online gambling can celebrate a 5th US state joining the industry. With forces in Washington DC preparing to change the 2011 DOJ opinion on the UIGEA, it is good timing to have another state’s congressional delegation as potential allies to block federal authorities who want to ban the online gambling industry in the United States.